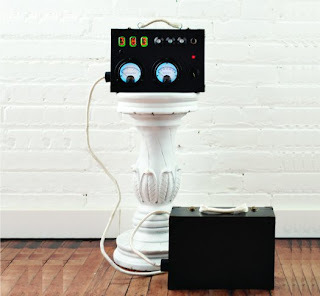 18-year-old spent the last few years of high school building a portable, battery-powered x-ray machine from scratch. Adam Munich was inspired to build his portable, battery-powered x-ray machine after hearing a few complaints in an online chatroom. One was on the rolling electricity blackouts in Pakistan, the other on the lack of working x-ray machines in a Mexico hospital. 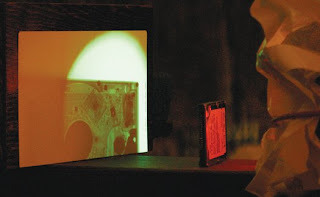 Fusing the two situations, Munich sought out to make a cheap, reliable, portable x-ray machine powered by battery. 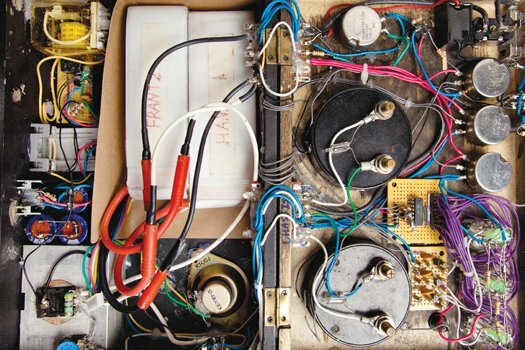 Two years later, he completed his DIY x-ray machine made of old suitcases, chainsaw oil, nixie tubes, various electronics, and a hot cathode tube. The final device is two connected pieces. The first, a control box with all of the electronics. The second houses the Coolidge tube and high-voltage power source. A simple battery wasn't enough to reach the 75,000 volts required to produce a good beam of x-rays, so he used four voltage multipliers made up of high-voltage capacitors and charge-relaying diodes. Pretty impressive for a high school student. Or anyone, for that matter. Unlike the costly radiation detectors in most hospitals, Munich's uses a super cheap scintillation screen to display the x-ray image. The scintillation screen is a plastic sheet that turns fluorescent green when hit with the ionizing radiation. He's already tested it on various home gadgets, but it should work on human body parts, too. To make sure the device was safe to use, Munich even built his own Geiger counter to measure the radiation! Overall, it cost him $700 to build, but Munich hopes to get the cost down to $200 each unit. But more importantly, he hopes this is his ticket for getting into a good college. I'm sure he'll have no problem with that.